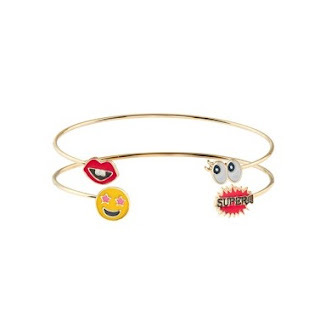 Emoji jewellery has been growing in popularity over the last few years and is here to stay. 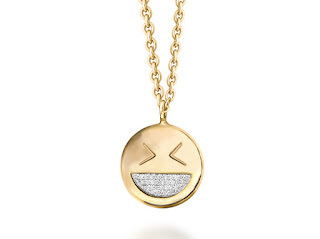 Cute, playful and joyful emojis represent things that make us happy and what better way to mix this with jewellery; as this is something that also makes us happy. (Well, definitely me). We have fond memories of who gave us these pieces or where we got them. 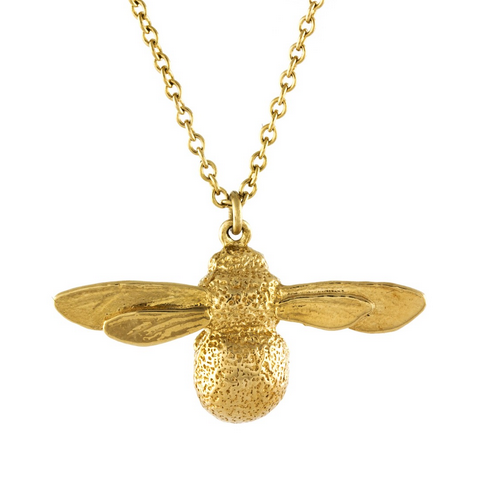 So here are some of my favourite jewellery that has always made me smile. This pair of cuffs is great for stacking up or wearing on their own. The simple band is a lovely contrast to the bright charms on the end. 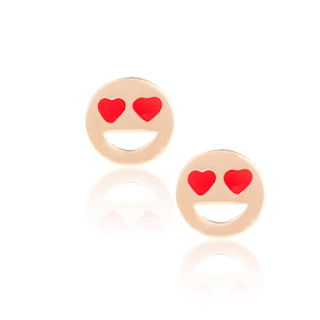 Compared to other emoji studs I've seen these cute earrings are vibrant and yet still sophisticated. The combination of rose gold and red enamel is beautiful against all skin tones and would make for an eye-catching statement. I think this would be a fantastic gift for an anniversary or valentines day. Romantic but playful at the same time. The Missoma smiley face is one of my favourite jewels that instantly puts me in a feel-good mood. I often wear this necklace most days as it brings a smile to my face. On tough days it reminds me to keep my smile and forget my troubles. It feels so decadent to have a diamond necklace that has a big cheesy grin and what could be a diamond grill! 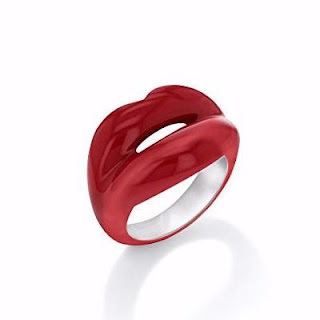 This Hotlips ring is a cult classic piece of jewellery and one of the first pieces of emoji style jewellery. The classic red colour signifies the passion and power of love. Made from sterling silver and hand painted with lacquer. If you thought a diamond smiley face was decadent, think again. How about a 14k Gold Band and Rose Gold Sh!t with Black Diamond Eyes. 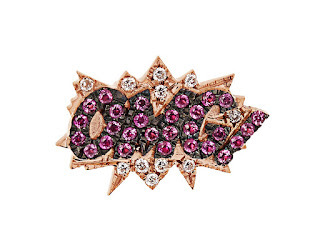 This ring is definitely for the brave and seriously fun loving. 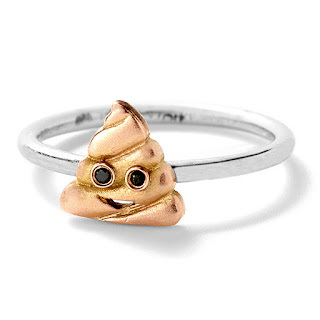 I imagine that you'll get endless comments on this ring as it is a unique and entertaining piece. 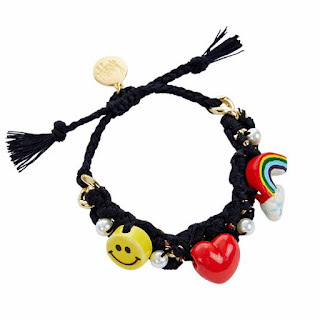 Love, Smiles and Rainbows; this bracelet is cute and luxe at the same time. The gold plating is what gives it that luxurious feel while the silk cord is sturdy and ceramic charms which gives them that tactile and lovely 3D look. 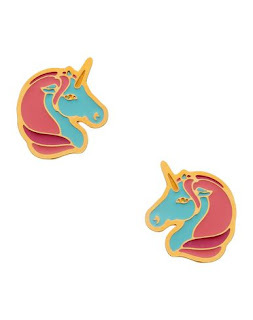 These unicorn studs are for the maximalist, whimsical and fun loving. The outline is beautifully delicate, and the tonal mane gives it that finishing touch. The unicorn has never been more popular in the recent years, and these earrings will undoubtedly stand out in the crowd of small and dainty studs. 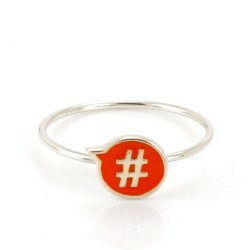 If you love a hashtag, then this is a cheeky twist to your jewellery box. Orange enamel and sterling silver on this dainty ring are great for stacking with other rings from the Laura Gravestock Chit Chat collection. This brooch is hand stitched and will make an eclectic addition to a jumper or coat. 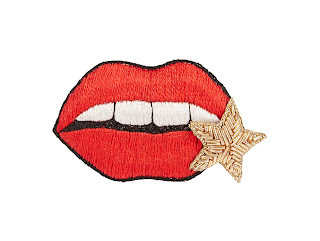 The red is genuinely lipstick red, and the outline of the teeth is exquisitely done and polished off with a golden star. OMG is right. Diamonds and pink sapphires in a Liechtenstein font. 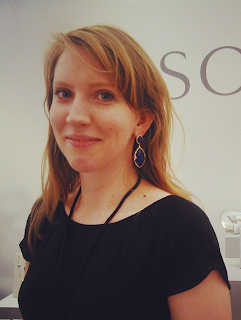 This earring is a single stud and will make the most playful accent to your everyday wardrobe.